East Coast Radio’s Darren Maule will headline the ninth edition of KZN’s premier evening entertainment series Jokes & Jazz on March 26, 2019, at the UKZN Centre for Jazz and Popular Music. Jokes & Jazz is a unique live comedy, music concepts and experiences event in South Africa which is also offered as corporate entertainment. The series has featured local and international jazz musicians and comedians since its inception in 2017 ranging as far as the UK. Maule is a veteran comedian with experience spanning 25 years and is the host of the Breakfast Show on East Coast Radio on weekday mornings. Jokes & Jazz was created by UKZN Troy Tesla and was warmly received by The Centre for Jazz and Popular Music. “Jokes & Jazz started as a seemingly impossible idea but now it has become one of the most highly sought-after events on the local circuit. 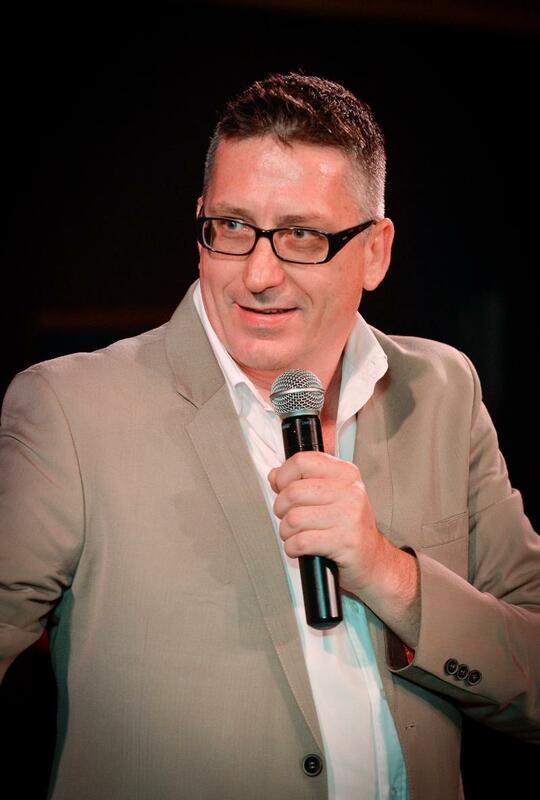 We’re bringing in acts such as Darren Maule for the first show of 2019. This is exciting because it’s a way for us to expand the show’s reach and serve our fans’ request to keep things fresh and exciting,’ said Tesla. ‘The show is also an initiative to give students in performance art the opportunity to network and share the stage with established artists in order to build their profiles,” added Zama. Accompanying Maule are fellow comedians Mfundo Ndovela and Bob Perfect. Performing musicians for the night are Djembe, Acapella & Marimbas. Catch Jokes & Jazz IX at Centre for Jazz & Popular Music, UKZN, (CJPM), Level 2, Shepstone Building at UKZN Howard College Campus. Howard College on March 26 at 18h00. Tickets R80 at www.Quicket.co.za or 072 338 6107. Alternatively, tickets can be purchased at the door on the night.